I’m writing this week in support and recognition of all the wonderful young students who fall into the under appreciated category of “average” when it comes to their reading. Average means that a child is doing on-level work for their grade. This category represents the vast majority of school students, often in excess of 70 percent of a class. Guess what? It’s OK for a student to be average and to be an average reader! Many influential world leaders, thinkers, and doers started off as average students—Winston Churchill, Albert Einstein, and Thomas Edison are just a few. What’s important is that average students be encouraged to always do their best. Read every night with your child. On-level readers need constant practice to maintain vocabulary recognition, fluency, and reaching the next level. Avoid the temptation to push your child to a higher-level book. This can often frustrate and discourage him, which could cause him to give up trying. Practice “word-family” words. That means rhyming words with different beginning sounds. Use this SchoolFamily.com printable worksheet to Practice short vowel and long vowel words, such as: at, bat, cat, rat; or bike, hike, like, etc. Keep practicing “sight” words. Sight words are words that cannot be “sounded out,” they just have to be known. Use these printable worksheets from SchoolFamily.com to help your child with word recognition and common sight words. Who knows…the constant encouragement you give to your average student today, could lead to tomorrow’s Steve Jobs or Sandra Day O’Connor! Connie McCarthy is passionate about her work as a teacher of young children. She has devoted her entire career to making sure that her students do well at school, right from the start. Connie has an undergraduate degree in Elementary Education, and a Master’s Degree in Special Education. She has been teaching first grade in East Providence, R.I. for 23 years, where she received the distinction of “Highly Qualified Teacher” by the Rhode Island State Board of Regents. 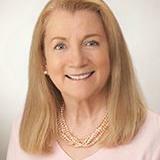 Connie also taught nursery school for four years, and published numerous articles on early education in East Bay Newspapers in Bristol, R.I. She’s also been published in PTO Today Magazine. She lives with her husband, Brian, and has a daughter and a son, both young adults. Connie enjoys reading, writing about elementary education, and taking long walks with friends. During summer vacations, she likes to travel with her husband. She also loves reading readers’ comments on her weekly blog posts.